Lory State Park (Part 1) - In A Colorado Minute (Week 195) [HD] from Luci Westphal on Vimeo. 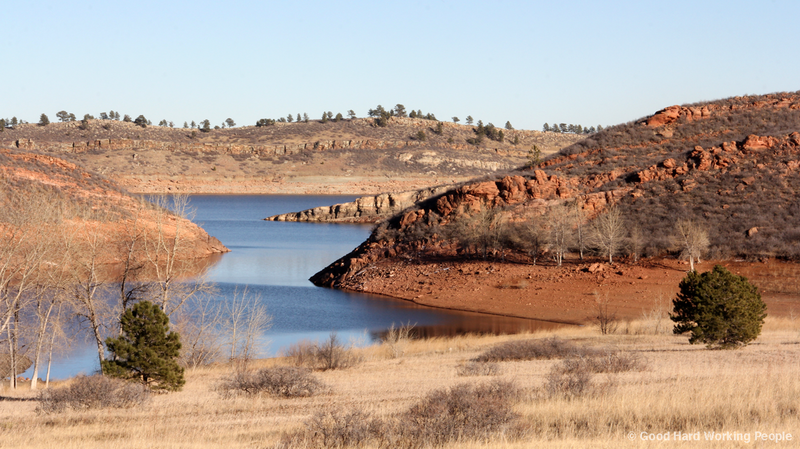 Lory State Park is the state park closest to Fort Collins, running along the west side of Horsetooth Reservoir. Its diverse landscape offers rolling hills and meadows, dramatic rock cliffs, reservoir beaches, evergreen forests, waterfalls and small mountains to climb and enjoy the view of the Rocky Mountains in the West and the Great Plains in the East. You can hike, ride mountain bikes and horses, swim, fish, run, play with your dog and apparently also hunt. This week, on a lovely, sunny and rather warm day, I took a few hours off from a crazy busy work week to enjoy the sunshine and vistas and to shoot this video for you. As with every visit to Lory State Park, we got there not long before the sun disappeared behind the mountains in the West. Note to self: for a longer visit to Lory State Park during the winter months, get there before noon to enjoy the warming sunshine for the entire hike. Because it was getting cool again as soon as the sun dipped down and because work was waiting, we didn't really get into climbing into the mountains (I'm sure the locals would call them hills, but I've lived in flatland all my life, so I'll call them mountains for now). I'm planning to climb up and shoot another video of that side of the park as soon as I get the chance. Having bought a year-pass makes it even more inviting to stop by for a quick walk, a pick-nick or an all-day excursion. By the way, the year-pass from Lory State Park is also valid at 41 other Colorado state parks. How cools is that? Very cool.